Windscribe is one of the rookies in the VPN industry. This VPN service was launched in full bloom in the mid of 2016. It has turned out well for all the privacy and security freaks around the world. Windscribe has made a robust entrance in the market and the credit goes to its strong encryption and bifurcated approach to ensure your privacy. This way it keeps your data and online activities inaccessible to third-parties. In our Windscribe VPN review, we will assess the service offered by Windscribe and present to you the ground reality about this VPN service. We hope that after going through our Windscribe VPN review, you will get acquainted with a better sense of this VPN provider. This will help you make a wise decision as to whether or not employ Windscribe as your privacy partner. If you opt for the Free plan then not a single penny of yours will be consumed and you will enjoy the basic VPN options. Such options include 15GB of data per month, one device connection and servers in 9 locations. In conclusion, we can say that this plan is free and limited. The Pro plan, however, has unlimited data transfer and unlimited simultaneous device connections. Here you get access to servers in 31 locations rather than the 9 server locations offered in the Free plan. Meanwhile, you should also be familiar with the fact that in order to opt for Pro plan you should be ready to pay either $9 per month or $90 per annum. According to our Windscribe VPN review, we can say that Windscribe has an excellent Free plan and thus can be considered as one of the best among the Free VPN services. While on the other hand the Pro plan is quite expensive and does not correspond to all the functions the VPN offers. Payment methods offered by Windscribe VPN include accepting payments from credit cards like MasterCard, American Express, Amex and Visa. PayPal and PaymentWall are other options for payment offered by Windscribe VPN. We also came across the fact, in the course of our Windscribe VPN review, that Windscribe accepts payments through Bitcoin as well thus keeping its subscriber’s identity anonymous and considerate. 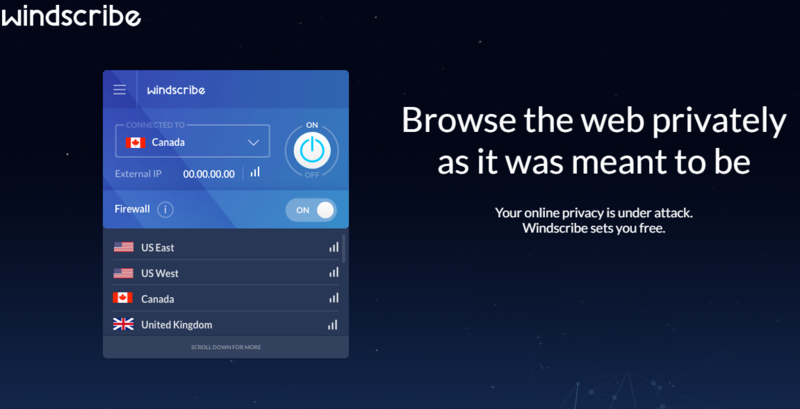 At the time of covering our Windscribe VPN review, we also found out that Windscribe is packed with some generous elements as well. Among these generous elements, there is the unlimited simultaneous device connectivity offered by Windscribe. Most VPN providers offer limited device connectivity with a single VPN account but Windscribe has undoubtedly broken these barriers and has aced in providing unlimited simultaneous connections. With respect to the generous elements offered by Windscribe VPN, we also discovered through our Windscribe VPN review that it also offers a 3-day money back guarantee. This refund policy allows the Windscribe subscribers to request a refund within 3 days after purchasing the Pro plan of Windscribe. 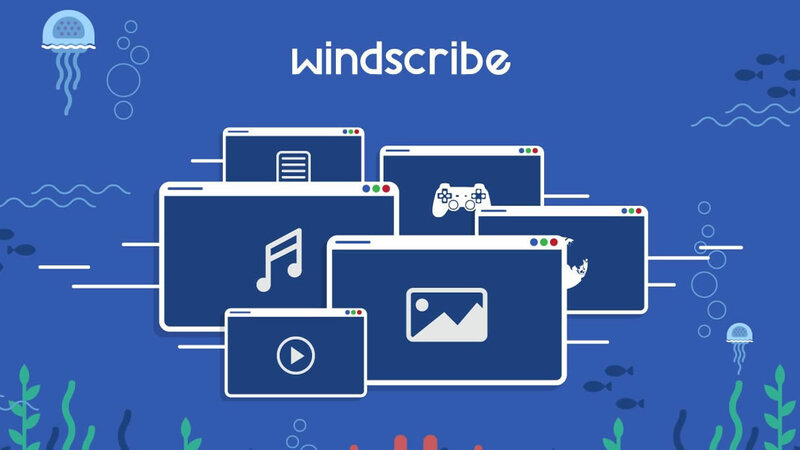 The free version offered by Windscribe, also known as Windscribe Limited, is available for all those Netizens who wish to take a test drive of Windscribe services before employing it. However, the free version comes with certain limitations such as a monthly bandwidth limit of 10GB only and a limited choice of eight server locations. We tested the VPN provider’s customer support for our Windscribe VPN review. Here we found out that there are unfortunately very few customer support channels. The customer support is only restricted to ticket-based queries and has no Live chat option available. However, after filling the ticket with your query you may receive a reply within a few hours via email. The response we received during the coverage of our Windscribe VPN review was professional and courteous rather than the single sentence answers or the auto replies which most other VPNs usually give away. The answer to our query was specifically addressed to our question and it was descriptive as well. Although the FAQ section is comprised of a single page it gives basic and general information service information to get started with the Windscribe’s VPN service. It also provides its users to get to know how Browser Extensions and Windscribe’s VPN work in combination. Top-notch privacy, as well as easy accessibility to the subscribers, is ensured solely by encryption tunneling protocols. Windscribe offers powerful AES 256-bit data encryption in conjunction with SHA 512 data authentication as well as the strong RSA 4096 handshake. Besides this, iOS users can configure IKEv2 on their iPhone along with their iPad and instantly get protected with the Windscribe VPN. Chances to suffer from data leaks get minimized due to the set of DNS and IPv6 leak protection, which is offered by this Canadian VPN. Over and above, sudden connection drops are not dangerous for Windscribe service users as this VPN has a Firewall widget. This Firewall widget is capable of blocking all the Internet connectivity which happens to Windscribe servers outside the connection. Furthermore, Windscribe VPN uses shared IPs instead of the dedicated IPs. This is because Windscribe considers shared IPs to be more reliable and its use gives the tracker a tough job to identify a real user. Logging Policy – Is Windscribe Safe? Since Windscribe VPN came into being, it has been inquired many times about the safety level it offers. This is the reason why we struggled to provide a crystal clear response to our readers in our Windscribe VPN review. While on the other hand, the only information that Windscribe does keep is the amount of bandwidth consumed by the user. However, this bandwidth data is also reset once in a month. It also keeps the payment information – only for Pro plan subscribers – for 30 days only. Windscribe is found to be compatible with approximately all the cutting-edge platforms like Linux, Mac, and Windows. In our Windscribe VPN review, we found out that Pro Plan subscribers are facilitated with well-designed VPN clients for Android and iOS devices. Furthermore, Windscribe also offers some upper crust extensions for web browsers like Opera, Firefox, and Chrome. These extensions provide users with the ability to unblock several websites with a single click. All in all, Windscribe is easy in use and is rather convenient. The Windscribe Limited plan or the Free plan has a limit of 9 server locations. These locations include US (East/West), Hong Kong, France, Germany, UK, Canada, Luxembourg, and Netherlands. Apart from the countries mentioned above, the Windscribe Unlimited plan or the Pro plan subscriber also become accessible to other servers. These servers are in various other destinations like Spain, Italy, Ireland, Switzerland, Denmark, Norway, Russia, Romania, Sweden, Turkey, Singapore, Egypt, South Korea, India, Japan, Mexico, and Australia. Although Windows’ client of Windscribe has a small interface it has the capacity to heap together everything you will need. This might include connect/disconnect button, server list, your current IP address display, and remaining bandwidth on the free edition. Apart from all these elements, Windscribe also has a ‘firewall’. This firewall has the capability to disable connectivity if the Windscribe connection succumbs at any time. Furthermore, it also includes some tweaks which include API resolution and connection mode. The connection mode further shows three different types of modes like UDP, TCP, and Stealth mode. During covering our Windscribe VPN review, we checked the VPN clients of all the platforms for leaks. We were glad to find out no sort of IP and IPv6 leaks. We also searched for DNS leaks but didn’t find any. This proves that Windscribe is not a VPN to be taken lightly. Also, that it is quite serious in providing high-level security and privacy. For installing Windscribe VPN on your computer, you will need to create a new account. Or you may use the one which you already have. After you sign in you will see the following dialog box. Here, you will come across different options for availing 2GB, 10GB or even 15GB of free data monthly. The crucial point of importance here is that 10GB can be availed if you provide your email to Windscribe VPN. Whereas, 15GB can be availed after you tweet regarding Windscribe. When switched off, VPN client turns black. And it turns blue after you switch your VPN client on. Windscribe VPN client shows you only a list of countries where the server destinations are. However, it does not show a list of individual servers. The number of location differs depending on the plan you have chosen. In conclusion of our Windscribe VPN review, we are glad to say that Windscribe is undoubtedly an excellent free service provider despite being a newbie in the VPN industry. The duo of Chrome Browser extension and Windows client work flawlessly to protect your online activities along with exclusive browser extensions. But not to forget the drawbacks of Windscribe VPN which include the lack of dedicated IP address, expensive Pro plan, no live customer support system, fewer server locations and encryption protocols. The pace of development of Windscribe VPN is highly encouraging and we hope that it won’t decelerate until Windscribe gains its zenith.